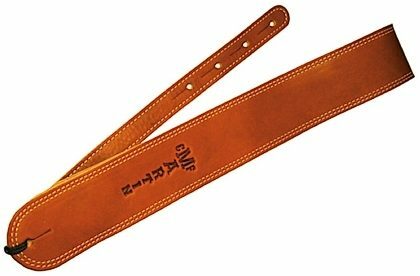 Give your guitar a stylish look with the Martin Ball Glove leather guitar strap. Made from soft 'ball glove style' leather with genuine soft sided leather underside, double detail stitching with embossed C. F. Martin logo. Strap is 2.5 inches wide.